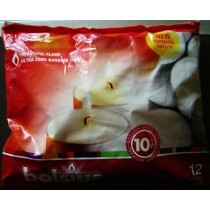 Cool Candles is pleased to provide a wide range of tea light candles for the Australian wholesale market. 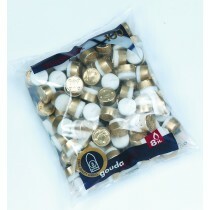 Our range includes premium European tea lights from manufacturers like Bolsius and Gouda, as well as high-quality economy tea lights from china. 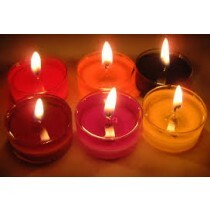 We also carry a range of attractive and affordable tea light candle holders, perfect for restaurants and other venues. Our range is available to all wholesale and retail customers, with genuine Australian businesses able to take advantage of even better wholesale prices. Everybody loves the warmth and comfort of real candlelight. And what better way to bring that ambiance to your venue than with convenient, self-contained tea light candles? 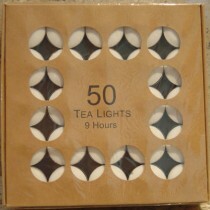 Tea light candles (also called tealights, tea lites or t-lights) are contained in a small, disposable cup. As the tealight burns, the cup contains the liquid wax, allowing the whole candle to liquefy. This ensures that the tealight can burn reliably without wasting any wax, and to deliver maximum light for its small size. It also helps you avoid any mess or spillage! 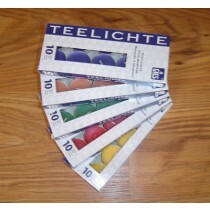 Tealights are affordable, convenient and easy to fit almost anywhere. Due to their small size, they create a beautiful soft light that doesn't interfere with relaxation or conversation. This makes them especially popular as table decor for cafes, restaurants, bars and other social venues. Attractive and versatile, they look great on their own, and even better in one of our beautiful tea light holders. 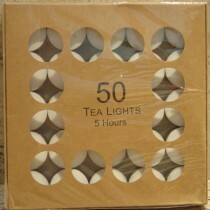 Most standard-sized tea lights offer a burn time of 4-6 hours, perfectly sized for everyday situations. However, as a venue owner or event coordinator, you might find a longer burn time more useful! In that case, you'll appreciate our range of extra large and long-burning tealights. Specially selected for hospitality usage, our European long-burning tea lights offer an extended burn time and a bigger, brighter flame than economy tealights. Backed by the highest quality standards, the 8 or 10 hours promised on the package is not just an estimate, but the minimum burn time you can expect to enjoy. 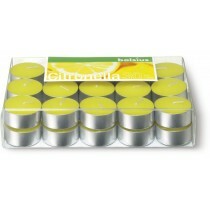 So if you need quality tea light candles that are sure to last throughout your event, look no further! Because tealights are so popular for table lighting, we carry an extensive range of lamps and lanterns suitable for these candles. Available in many styles and colours, our acrylic and glass tea light candle holders make beautiful centrepieces for any table. Choose colourless clear or frosted glass for a cosy, intimate atmosphere... or ramp up the energy with bright greens, blues and oranges! Whatever mood you aim to create, our tea light candle holders will surely impress.